All-inorganic halide perovskites have attracted great attention by virtue of the merits of bright emission, tunable wavelength and narrow-band emission. Despite the excellent optical features, all-inorganic halide perovskite materials have suffered from intrinsic instability, which has limited their applications in various optoelectronic devices. To mitigate the intractable issue, we demonstrated the CsPbBr3 nanoparticles decorated with smaller SiO2 nanocrystals to passivate the surface defects; SiO2 nanoparticles were applied as a barrier layer to maintain the optical property and enhance environmental stability. 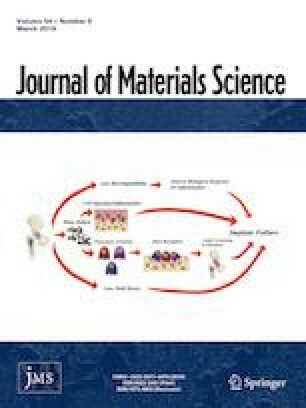 A facile in situ method was proposed to prepare CsPbBr3/SiO2 nanocomposites, in which an environmental ethanol/water solvent system was needed with the addition of tetraethyl orthosilicate (TEOS) as a silicon precursor. The obtained CsPbBr3/SiO2 nanocomposites have better optical characteristic and stability than bare CsPbBr3 nanoparticles. Even 70% photoluminescence intensity of as-prepared CsPbBr3/SiO2 nanocomposites can be maintained after 168 h storage in ethanol. This newly developed synthesis will open up a new route for the fabrication of optoelectronic devices in an environmentally friendly way, and the as-obtained perovskite materials with improved stability will make them great potential for multifunctional optoelectronic devices. This work is supported by the Scientific and Technological Projects for International Cooperation Funds of Sichuan Science and Technology Program (Nos. 2017HH0069 and 2018RZ0074), the Fundamental Research Funds for the Central Universities of China (A0920502051408-10 and ZYGX2009Z0001) and Cultivation Program for the Excellent Doctoral Dissertation of Southwest Jiaotong University (No. D-YB201709).